Show your desktop Friday is something on some geekier parts of the internet. 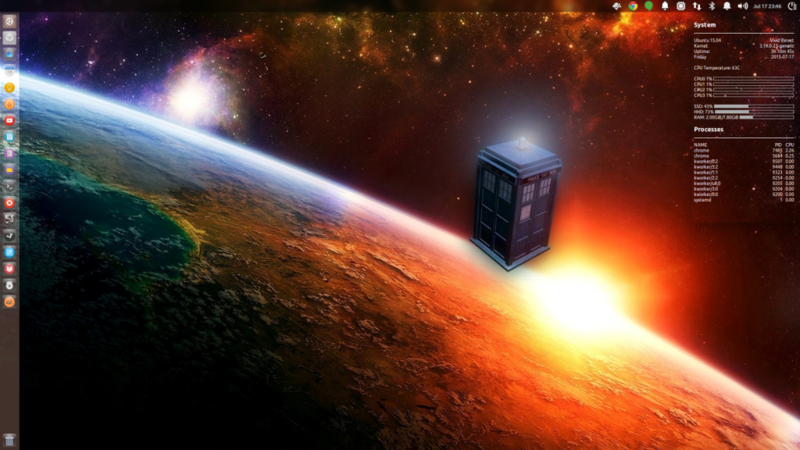 I haven’t shared my desktop here in a little while. I use a simple Unity set up on Ubuntu 15.04 with Conky as a basic widget.